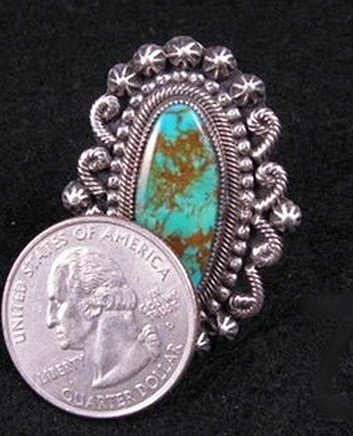 Native American handmade sterling silver & turquoise ring, created by Navajo Leon Martinez, brother of Calvin Martinez. 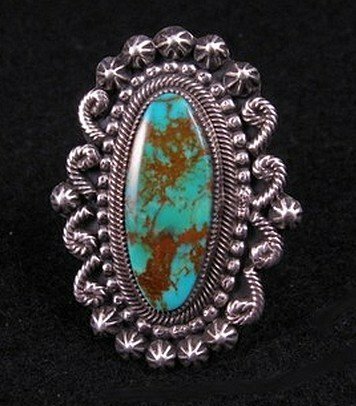 The stunning natural turquoise stone is set in a unique setting with careful attention to detail. The stone is a greenish-blue turquoise color with honey colored matrix. There is a wide 6-way split shank. Leon Martinez manages to bring together the traditional vintage look with the refined silver work of today. 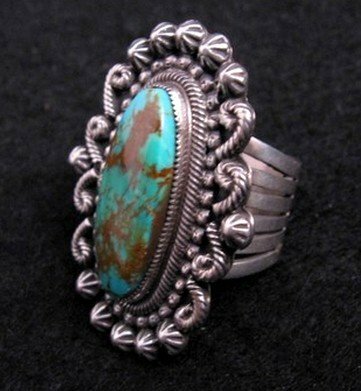 With all the allure of the old, this classic turquoise ring is carefully made, with solidity and natural turquoise stones. 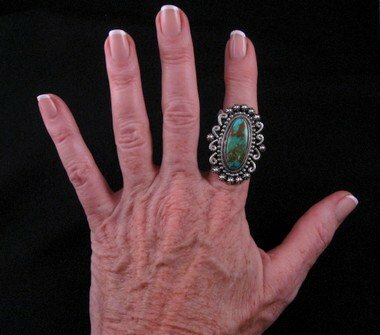 Considering the quality of the silver work and the beautiful stones, this ring is a real value! 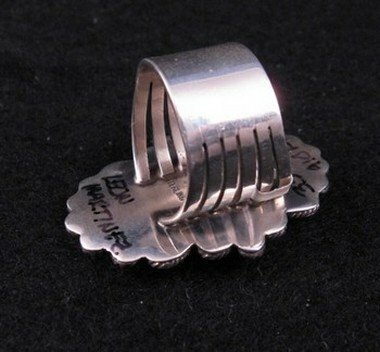 The face of the ring measures almost 1-5/8 inch long by 1-1/8 inch wide, the band measures 1/2 wide at the back. The ring weighs 25 grams. Size 8-1/2. Brand new and in perfect condition. Gift Box and Certificate of Authenticity included. Hallmarked by the artist.